Generation UCAN is powered by SuperStarch, a healthy, natural, gluten-free innovation in carbohydrate nutrition. SuperStarch is a complex carbohydrate (derived from non-GMO corn) that uniquely stabilizes blood sugar and causes virtually no reaction from the fat-storage hormone insulin. It’s backed by proven science. Finally there’s a healthier, more efficient energy source than sugars, caffeine, or high-carb meals. Originally discovered for children with life-threatening energy imbalances, SuperStarch is a revolutionary fuel being used for energy, sports and fitness. For runs under two hours, take one packet of Generation UCAN sports drink mix 30-45 minutes before your run. Hydrate with water during your run. 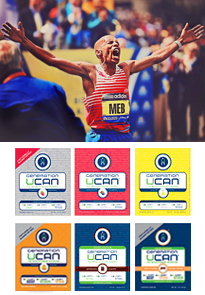 For runs over two hours, many runners will either take two packets of UCAN before the run or take one packet before the run and a second packet about 90 minutes in. It all depends on your need for additional energy and the metabloic efficiency of your body. Some runners have found it effective to mix one packet of UCAN with a couple ounces of water to create a gel paste for consumption during a run. For muscle recover, take one packet of Generation UCAN protein-enhanced sports drink mix immediately after your run. Everyone has friends that run – for some it’s a way of life, an obsession, or therapy. For others it’s about pushing their bodies towards a personal best. Whether you are a recreational runner or an elite competitor, Generation UCAN will help you break that 4 year-old PR or crack the top ten. How? By making your body more metabolically efficient – using carbs and fat for fuel. Go longer and be stronger. Start with your nutrition and Generation UCAN. There is nothing like it – just ask Meb. UCAN Live to Run. 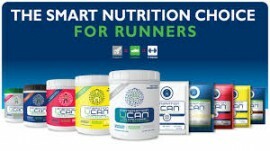 Try Generation UCAN and use code: coachreavis discount code for a 10% discount!